The London Book Fair is the global marketplace for rights negotiation and the sale and distribution of content across print, audio, TV, film and digital channels. This is the place where authors, agents, publishers, and industry professionals from all over the globe meet for talks, workshops, networking, and the celebration of books. Diego Marano, UK Manager and Camille Mofidi, European Manager for Kobo Writing Life spent time at the Author HQ located in the middle of the Digital Zone, chairing talks with bestselling authors, meeting with aspiring writers or confirmed hybrid authors, hosting professional photo shoots for authors, and many more events. The crowd was standing room only. 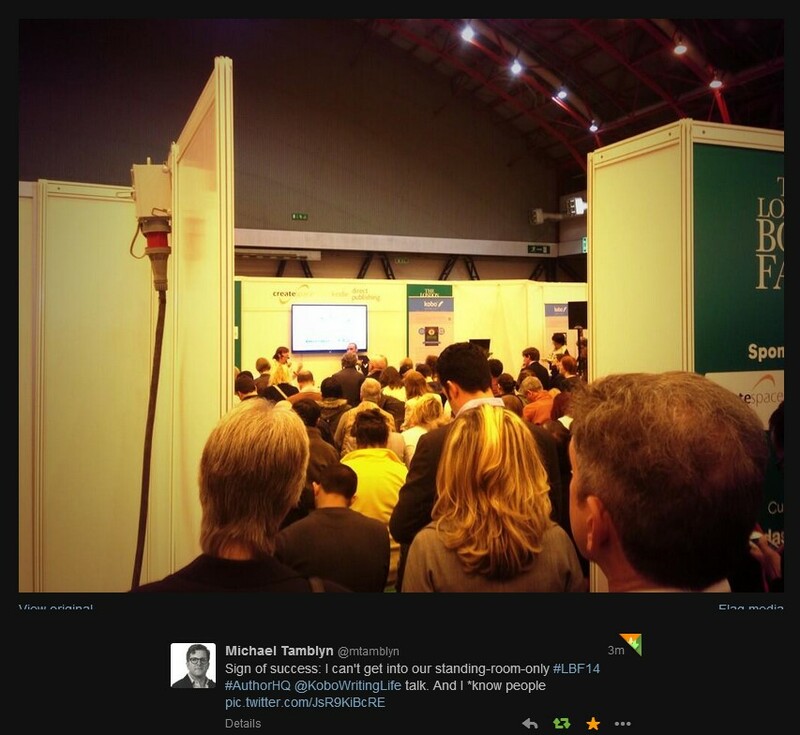 Even Kobo’s President & Chief Content Officer Michael Tamblyn couldn’t get close to the stage. 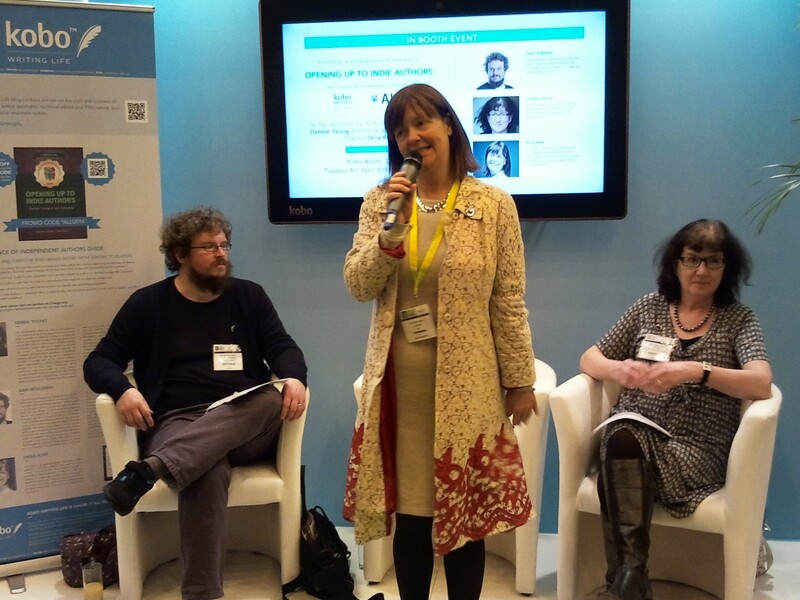 The Alliance of Independent Authors launched its brand new guide dedicated to “authors and everyone who brings books from writers to readers”. The guide was launched by authors of the guide Dan Holloway, Debbie Young and series editor /ALLi director Orna Ross on the Kobo booth. The guide was on promo during the fair and is available on Kobo stores worldwide with the help of ALLi members. 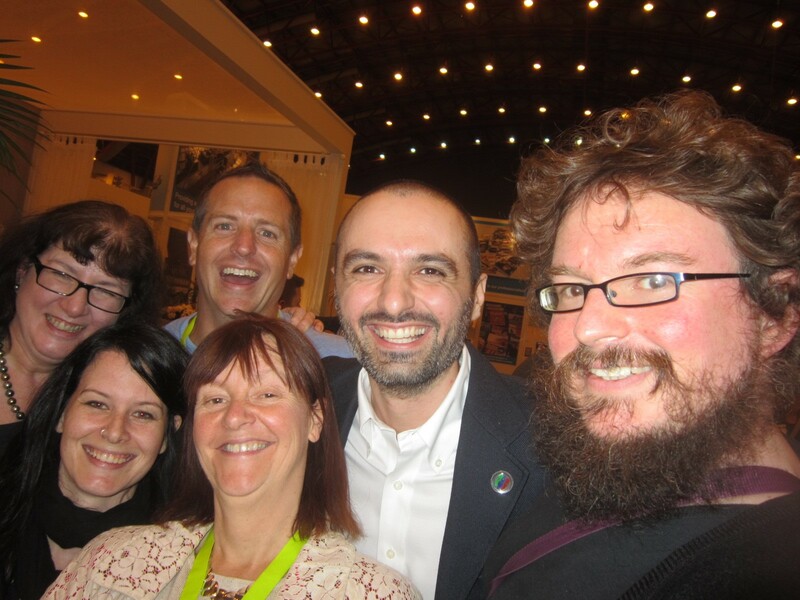 ‘Selfie publishing’ with Dan Holloway, Debbie Young, Orna Ross, Hugh Howey, Jessica Bell, Diego Marano. 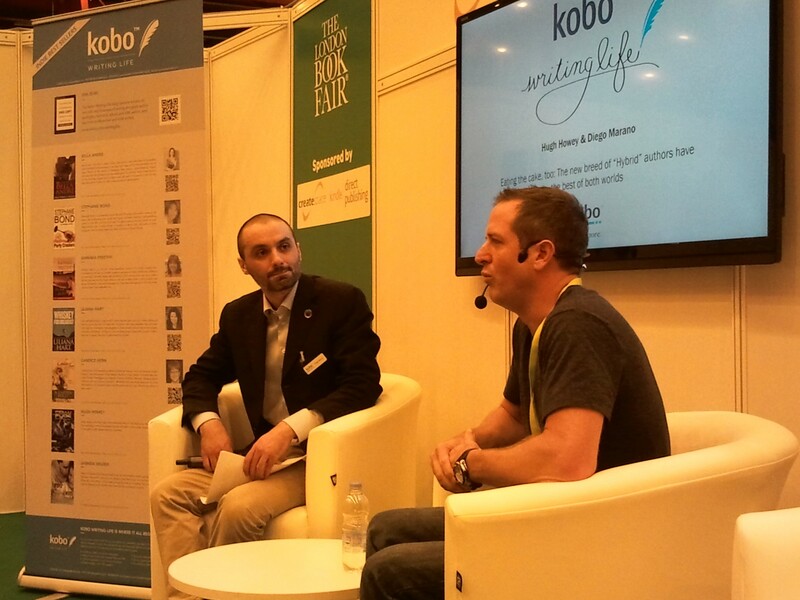 In that session, Diego Marano led a stimulating conversation with hybrid author Hugh Howey, whose WOOL trilogy is an international bestseller. They talked about Hugh’s incredible success, his journey in self-publishing, his relationships with agents and publishers and retailers such as Kobo. 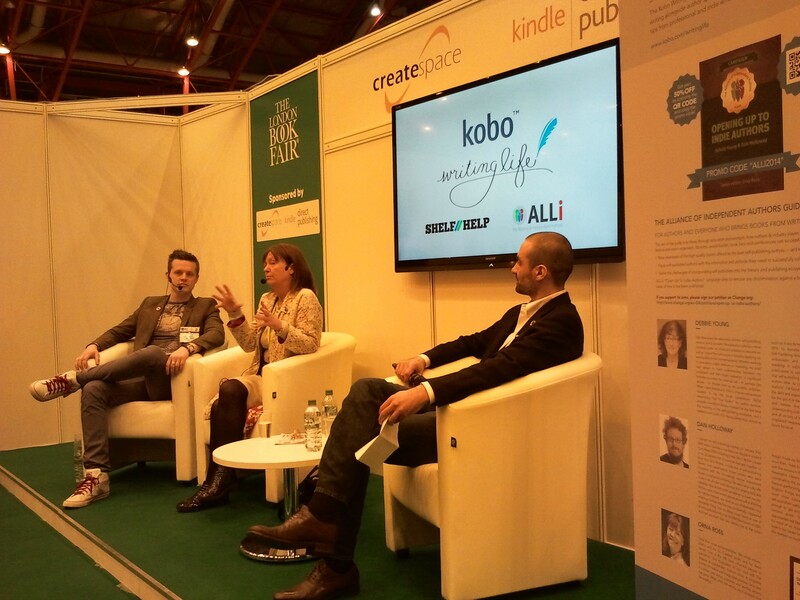 Wednesday April 9th: INDIE BESTSELLERS go global at the London Book Fair! Indie Bestselling Authors Bella Andre, Stephanie Bond, Barbara Freethy, Liliana Hart, Candice Hern, Hugh Howey and Jasinda Wilder have sold over 15 million ebooks all together. These phenomenal authors decided to go global by hosting the “Indie Bestsellers” booth at the London Book Fair this year. They were extremely busy during the fair, giving a Publishing 3.0 Seminar, hosting a book signing at their booth and talking on stage and with the press. 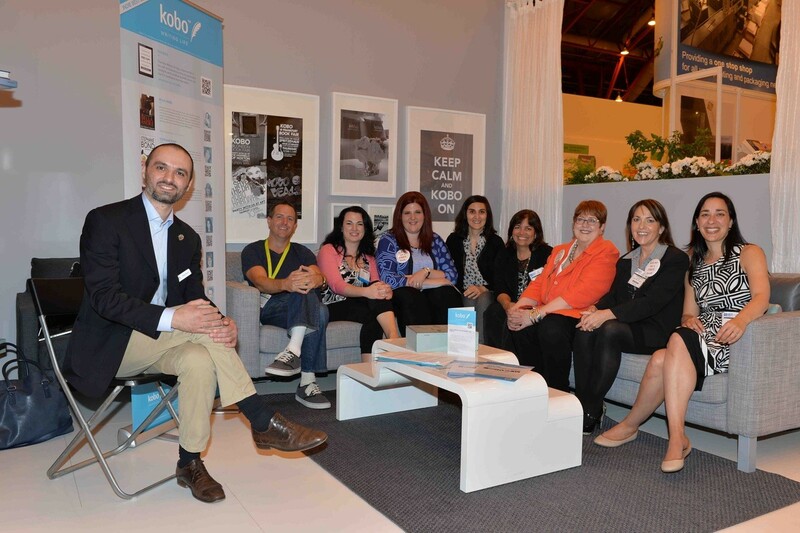 This stellar group of international bestsellers spent some time relaxing in the Kobo booth entertained by KWL Managers Diego Marano and Camille Mofidi, sharing their insight on this collective initiative, which is a first among indie authors. 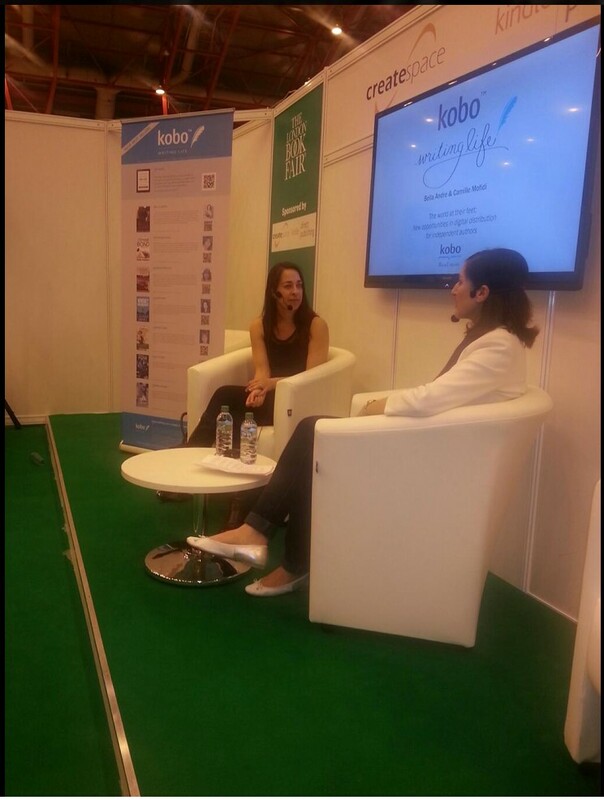 Camille Mofidi, Kobo Writing Life European Manager led an inspiring discussion with internationally bestselling author Bella Andre about her brand, her strategy to win foreign markets and her partnership with Kobo for the French translation of her “Four Weddings and a Fiasco” series. 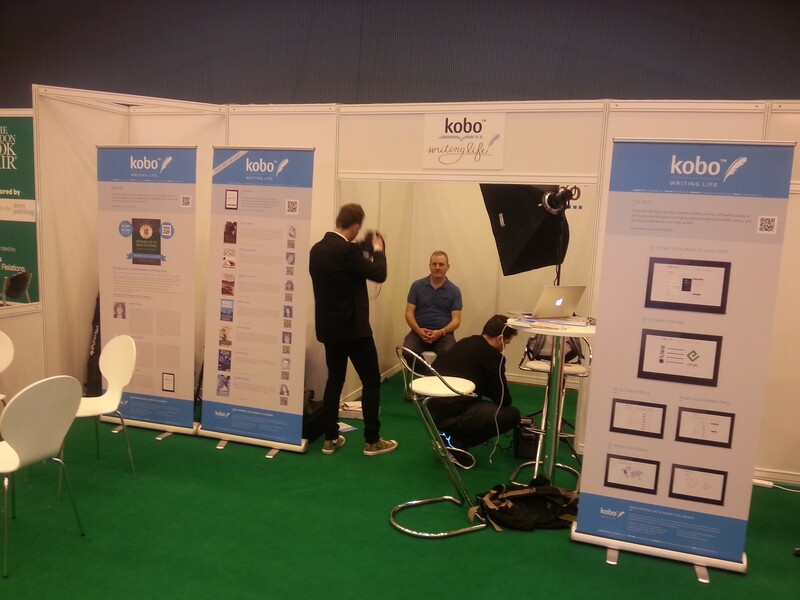 Last but not least, Kobo Writing Life offered authors attending London Book Fair to have their photo shoot by a genuine fashion photographer for free. 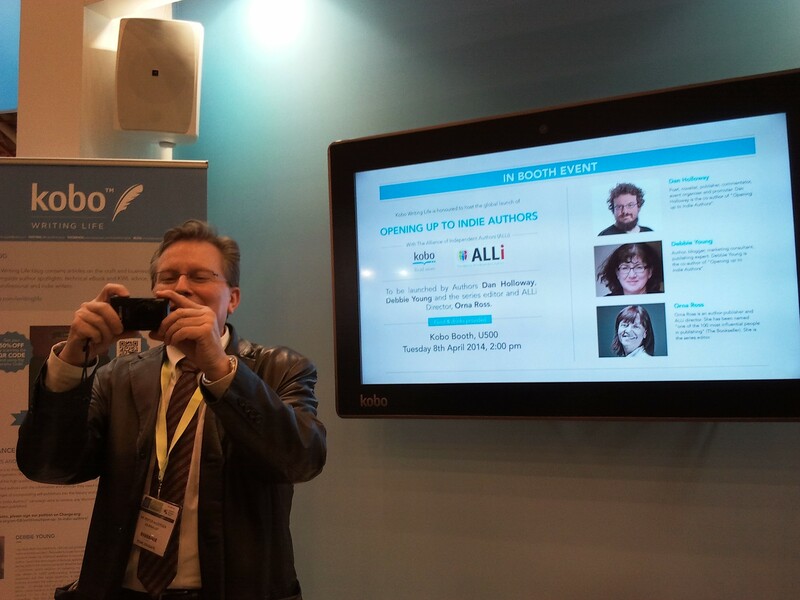 More than 100 authors came to the KWL booth in the Author HQ to have their photo shoot by Stefano Masse. Stay tuned to the KWL blog for more detailed posts, including videos of the fascinating and insightful interviews. What a cool event. Looking forward to getting there one day!